Last year, Vivo raised the bar with its APEX concept phone that was demoed during the Mobile World Congress trade show and it changed the perception of how smartphones will look in the near future. The prototype device sported a uniform bezel-less display, with no notch or chin bezel. The in-display fingerprint scanner covered half of the OLED screen, and the pop-up camera allowed the manufacturer to attain that bezel-less design. Vivo might not have commercialized the exact design when it launched its flagship, the NEX, but it came darn close. The next step towards how future smartphones will look will be unveiled later this month, as Vivo has teased a new device that might be a genuinely bezel-less smartphone. During the CES trade show that just recently concluded, Vivo teased a concept it called Waterdrop, which it said would be revealed on January 24. 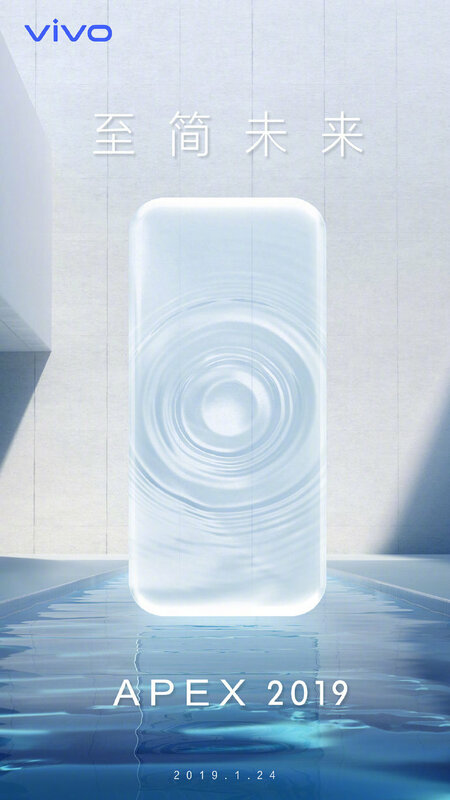 Vivo has now uploaded another teaser on its Weibo page, confirming that the new concept phone would be called APEX 2019. The phone will be unveiled in China on January 24. Per the teaser, the APEX 2019 will feature an all-screen design and curved edges. 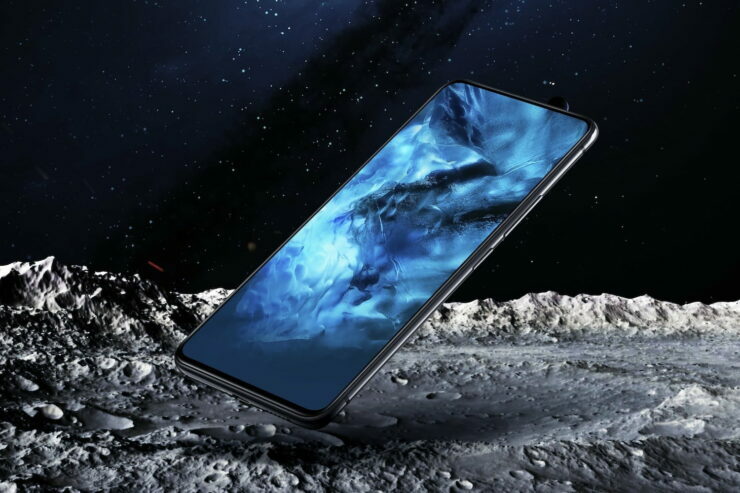 Like last year’s Vivo NEX, this year’s APEX phone is most likely going to be a concept device on which the company’s next-generation flagship would be based, but since it’s been a whole year since the original APEX made its debut, it is possible that this design is finally commercialized. Vivo was the first smartphone OEM to introduce the pop-up camera, and it might unveil some new technologies with the upcoming phone too. The company recently released a dual display version of the Vivo NEX, which swapped out the elevating camera for a secondary display that enables users to take selfies with the primary camera system. It remains to be seen which of the two design language the new phone would follow. Our belief is that because smartphones should not possess any movable parts, the dual-display approach is a better one to follow. Coming to the hardware specifications, the phone will most probably be fueled by the Snapdragon 855 SoC and flanked by 8GB of RAM. The phone might not come with any physical buttons at all, which means it will probably feature pressure-sensitive areas and offer gesture-based navigation. Vivo hasn’t confirmed when its new APEX phone would be released internationally, but the chances are that it will grace the Mobile World Congress, which will take place next month.